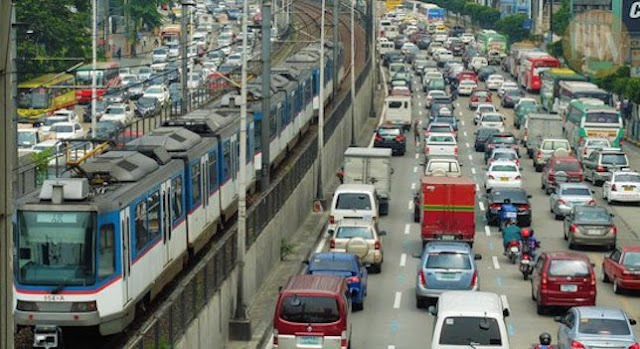 MANILA – The country’s worsening traffic crisis cannot be solved without money involved. This, according to President Rodrigo R. Duterte as Congress believes that granting his request for emergency powers would make transport projects prone to corruption. In a televised tête-à-tête with Chief Presidential Legal Counsel Salvador Panelo at the Malacañang Palace, Duterte said his request for emergency powers would have expedited transport projects that would help mitigate traffic woes. “EDSA, right at the beginning, we raised the possibility of being granted emergency powers. You cannot improve on things without money nowadays,” Duterte said. “Eh unang lumabas sa newspaper instead of baka tawagin kami or they would have a dialogue kung ano’ng gawin ninyo sa emergency powers, ‘how much are you going to borrow and what is the purpose of this and that’, ang naririnig ko. Malaki ito, this is prone to corruption (What came out in the newspapers is, instead of summoning us or having a dialogue with us on what to do with emergency powers, how much are you going to borrow and what is the purpose of this and that were what I've heard. This is huge [amount]. It’s prone to corruption),’” he added. Duterte said because legislators doubted the integrity of his Cabinet members and his promise to lead a government that is free of corruption, he opted to no longer push for emergency powers and leave EDSA traffic woes unsolved. “Sabi ko ‘wag na. Kung ganun lang naman ang tingin ninyo sa akin, di wag na tayong manghiram, (I said, never mind. If that’s what you think of me, then let’s not borrow money), do not give the powers anymore, just leave EDSA as it is,” Duterte said. “Kung wala kayong tiwala sa’kin, di ‘wag na. Ako na ngayon ang tumanggi, ayoko na (If you don’t trust me, then never mind. I’ll be the one to refuse, I no longer want it),” he added. Duterte said he respected the independence of Congress to decide on whether to grant emergency powers or not but noted that if he could not mitigate traffic in Metro Manila and other urban areas, perhaps “somebody else” could. “Let it be done by somebody else. (It’s) somebody else’s turn not mine,” he added. The House of Representatives has already approved the emergency powers bill at the committee level. Meanwhile, Senator Grace Poe, chair of the Senate Committee on Public Services, urged Duterte to certify the bill as urgent to hasten the measure’s passage.